These graphic scenes aren’t for the launch of a new movie or reality show. A performance artiste is undergoing animal laboratory tests in the window of Lush Regent Street London, to raise awareness of the worldwide ‘Fighting Animal Testing’ campaign and EU petition. The stunt is part of a campaign by Lush Cosmetics and The Humane Society. Hundreds of horrified shoppers watched a young woman endure 10 hours of experiments, being restrained, force-fed and injected with cosmetics in a high street shop window. Some of the experiments on the model included hair removal, squirting irritants in the eyes, injecting solution via needles and lotions/ creams smeared across the face. The model appeared genuinely terrified as she was pinned down on a bench and had her mouth stretched open with two metal hooks while a man in a white coat force-fed her until she choked and gagged. The gruesome spectacle aimed to highlight the cruelty inflicted on animals during cosmetic laboratory tests and raise awareness that animal testing is still a common practise. The campaign, launched to coincide with World Week for Animals in Laboratories, is being rolled out simultaneously in over 700 Lush Ltd. shops across forty-seven countries including the United States, Canada, India, Australia, New Zealand, South Korea and Russia. Lush campaign manager Tamsin Omond commented: “The ironic thing is that if it was a beagle in the window and we were doing all these things to it, we’d have the police and RSPCA here in minutes. 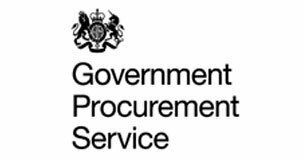 Kommando has been accepted onto the fiercely-contested multi-lot framework for the Government. It was only erected 12 days ago but Louis Vuitton has been forced to dismantle its extreme trunk installation in Moscow's Red Square, after its presence caused the city's residents and politicians to complain. PR Stunt Or Future Reality? 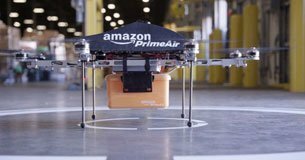 Amazon founder and CEO Jeff Bezos has unveiled a new invention, delivery by flying robot drones.